As many of our students know, we were running a fun competition to see how many correct “picks” people could make for the Oscars during EC Miami’s Oscar Challenge. 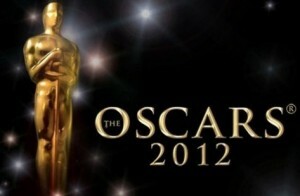 The Oscars, one of the most famous movie awards shows, are now over and we now know the winners. We would like to congratulate Damian and Beat for successfully picking 4 out of 6 possible categories correctly, the highest score among EC Miami students. The two winning guys have each won one movie ticket to a movie of their choice. The Oscar Challenge started last week and students had all week to make their choices for six categories: Best Picture, Actor in a Leading Role, Actress in a Leading Role, Actor in a Supporting Role, Actress in a Supporting Role, and Director. Many students spent the week catching up on their movie-watching because they hadn’t seen all of the movies yet. Others started looking at reviews online and making predictions based on information from various websites. In the end, the winners were the Artist, Jean Dujardin (The Artist), Meryl Streep (The Iron Lady), Christopher Plummer (Beginners), Octavia Spencer (The Help), and Michel Hazanavicius (The Artist). Some of the winners were surprises, while others were expected. All in all, it was a fun competition and it got students talking about what movies they had seen and what movies they are now looking forward to seeing soon.